As you plan your child’s summer camp experience, it’s important to take the time to research which daycamp is best for your child. Here’s a checklist to help you make the best choices. Involve your child in selecting the right camp. Makes sure the program plan matches the interests of your child. This is your child’s summer so make sure it’s fun for them! Get a copy of the weekly or daily activity plans, which highlight the out-trips, crafts and activities during the camp. Deal with a reputable organization – one that has been in business for many years. Ensure the organization follows safe hiring procedures such as criminal record checks and reference checks. Ensure the staff is trained in First Aid/CPR, and have direct experience working with children. Inquire about the ratio between leaders and children, and the role of volunteers in supervising the camp. Pick a program in your neighbourhood (where possible) so that your child can make lasting friendships. Check out what the facilities offer. Look for facilities with lots of variety. Select a camp with a high profile in the community – ask your neighbours and your children’s friends for references. Select a camp where your child’s health and comfort is taken into consideration – kids should have indoor/outdoor activity and water activities to ensure they remain cool throughout the sunny weather. Inquire into the organization’s Child Abuse Policy and Discipline Policy. Find a camp that meets your needs. 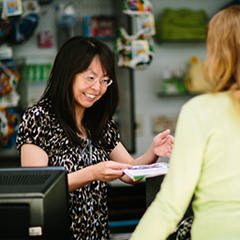 If you need extended hours, make sure you find a location with before and after camp care. If you have siblings that you want to place together, look for a location that serves both age groups. And remember, when sending your child to camp, don’t forget the sunscreen, water bottle, hat, bathing suit, extra clothes, lots of snacks and a bag lunch! North Vancouver Recreation & Culture offers a great variety of exciting camps for kids of all ages. From pre-school to school age camps, from art camps to sports camps, we offer the best selection, the best value and the most fun at our daily, weekly, full or part-time camps. For more information, visit our Camps page or call 604-987-Play (7529).